We have stayed at this property several times in the past. This trip was a bit disappointing. I believe this property was just sold & it feels like it needs new management. The resort ran out of towels, when calling hotel dining, front desk, management you would almost always just get a recording. Beds weren’t very comfy, furniture was tired, hard to find lounge chairs especially any with shade. Construction in rooms would start at 8am. The beach was washed out. This hotel is in a great location at Black Rock. Hope new owners will restore it to it’s former glory & run it like a high end resort. The resort was amazing. We got the ocean front room in building 6. Breathtaking views. We got to see the whales from our balcony. Bedding was great. Options for evening dining not good. We arrived on a rainy evening and the Restaurant’s next seating was not for an hour and fifteen minutes, lounge was full (had about three tables), and we were without a room service menu in the room. We opted for dinner at the pool bar as it was the fastest option. We were thankful for the room and enjoyed the breakfast buffet the next morning. Beach was great. Food was poor and most restaurants and bars were closed due to 2 month workers strike. Over priced. Would not give us late checkout for any of the four rooms. Since our flight didn't leave till evening. My bf and I stayed here for a week, & it was absolutely gorgeous. Resort was always cleaned, staff were super friendly. Room was up to date and cleaned every day for us which was nice. It was within 10 minutes of whaler shopping center and lots of nice restaurants. The pool is beautiful, and all the food on the resorts property was delicious. No microwave in room was the only down side but they do have refrigerators. Definitely staying here next time ! Great location. Room mix up with orbitz and front desk was very accommodating. Hotel handled everything smoothly during our stay with hurricane Lane! Great location, beautiful facilities. Upgraded to ocean view which was awesome. Loved it. Only thing we would have liked was a place to make food, but it's a hotel room, not a condo. Had a wonderful time! We had a nicely updated room with a large balcony and ocean view. Comfortable bed and pillows, great service. The floors were always a little sandy, but that's our fault (we were always tracking in sand from the beach, which was literally steps away from our room). Would definitely stay there again. Sheraton Maui Resort & Spa places you within a 10-minute stroll of popular attractions such as Whalers Village and Kaanapali Beach. This 508-room, 4-star resort has conveniences like a full-service spa, an outdoor pool, and a 24-hour fitness center. Enjoy dining at Teppan-yaki Dan, one of 4 onsite restaurants. Savor a meal from the comfort of your room with room service, or get a quick energy boost at the coffee shop/café. Guests can expect to find free WiFi and 50-inch an LCD TV with cable channels and pay movies. The bathroom offers hair dryers, free toiletries, and bathrobes. Other standard amenities include a lanai, a refrigerator, and a coffee maker. 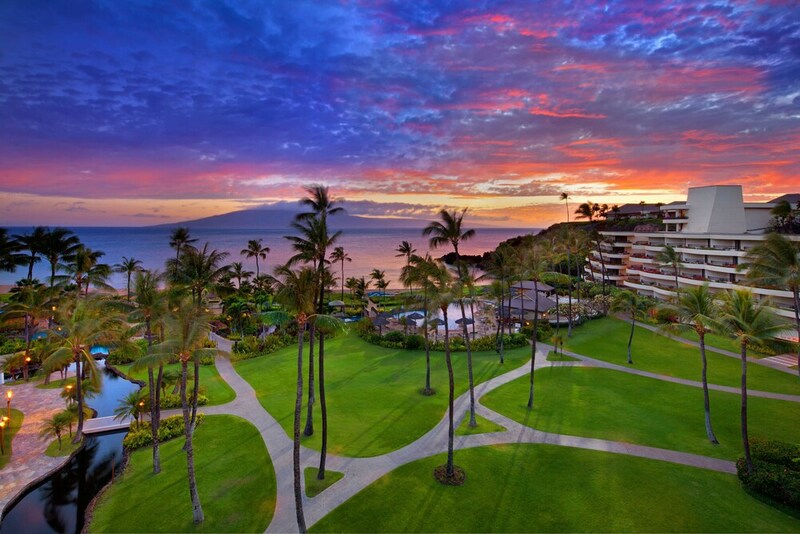 Sheraton Maui Resort & Spa features a full-service spa, an outdoor pool, and a lazy river. Parking is USD 22.00 per day (USD 30.00 per day for valet parking)—but if you prefer not to drive, catch a ride in the shuttle from the hotel to the airport (available 24 hours) for USD 60.00 per person. Front-desk staff can answer questions 24/7, and assist with dry cleaning/laundry, luggage storage, and securing valuables. Other amenities at this beach resort include a 24-hour fitness center, outdoor tennis courts, and free WiFi in public areas. Teppan-yaki Dan - Restaurant open select days for dinner. Reservations required. ROCKsalt - Restaurant open select days for breakfast and dinner. Cliff Dive Grill - Restaurant open daily for lunch and dinner. Mai Tai Bar - Bar open daily for lunch and dinner. Dinner Under the Stars - Restaurant open daily for dinner. Reservations required. Recreation features at Sheraton Maui Resort & Spa include outdoor tennis courts, a lazy river, an outdoor pool, and a 24-hour fitness center. The front desk is open 24 hours a day, and checking in and out are easy with express services. For convenient departures, you can take advantage of the airport drop-off service (fees apply). Driving? This property offers parking (fees apply), along with a car charging station.